Wrangle the chute has come a long way and not moved and inch at the same time. The spirit of the event has always been to be different, to be rowdy and to give an outlet to a very important group of the ski community. This year’s event was significant in multiple ways in that it was a sanctioned FWQ event, meaning that points could be earned to join up on the world tour for next year. While this may seem not that interesting to some, be assured that to get this kind of distinction is no easy task. Credit some hard work, lead by Brian Coles, KHMR staff and a host of other interested parties to make it happen. The two day event needs to be commended firstly, for even happening. There was a tragic list of cool events that didn’t make it out of the start gate this year. 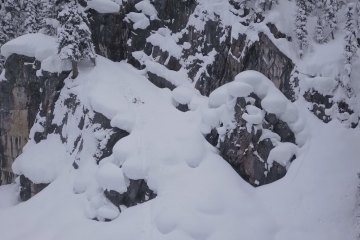 And even in not the greatest conditions, the Truth Dare and Consequence venue at KHMR proved that a quality, world class event can go down there with the right light and tolerable snow that young knees prove stoppable. We tagged along for a couple days to check out the event and get some fun spring like skiing in. Here’s a 1 minute photo compilation that should give you an idea of the flavor of the event. Photos by Tim Grey, edited by Alex Davey. 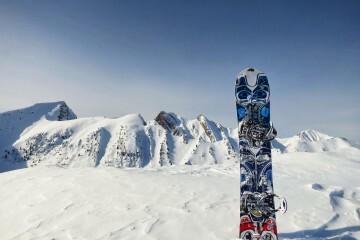 Check out other Wrangle the Chute content on Biglines.